Marketing emails such as newsletters, coupon offers, product announcements, and more are a crucial part of any marketing strategy. These emails allow you to engage with your target audience, share educational and valuable information, and encourage your contacts to progress through their buyer’s journey. However, if you are using your personal corporate email to send these emails to your contacts instead of an email marketing software or program, you are not only wasting your time and resources, there could also be legal implications as well! Typically, personal emails are delivered from someone you know or otherwise have a reason to communicate with. They are primarily relationship or transactional communication and are discussing something specific. An email sent from a personal email address (whether it be work or personal) usually is very simple and to the point. It is used as a form of communication and there usually is no goal other than to pass on information. Marketing emails, on the other hand, tend to have a little more pomp and circumstance in the form of attention-grabbing images, brightly colored call to action buttons, and some sort of end goal (visiting a website, making a purchase, signing up for an event, etc.). They also are deemed as communication that advertises or promotes a product or service. Marketing emails should also include another very important element that you do not usually see in personal emails - an option to opt out, unsubscribe, or otherwise set communication preferences. Emails or communication that are considered “commercial communication” are subject to a number of laws and regulations, especially depending on where your company and your contacts are located. If your email communication falls under this definition, it must abide by the rules set forward in this act or you could potentially be fined up to $41,484 for EACH email in violation. If your contacts reside in the EU (even if your company is not located in the EU), your email communication is subject to the General Data Protection Regulation (GDPR), which has even stricter rules and regulations than the CAN-SPAM act. Failure to abide by the GDPR regulations could result in “a temporary or definitive ban on processing and a fine of up to €20 million or 4% of the business’s total annual worldwide turnover” per the GDPR official website. Other regulations are specific to certain states, such as California, as listed here. Most email marketing software or programs are designed with these rules and regulations in mind, so your emails created within the software or program will be compliant without having to take the steps to make sure each email is safe. However, you should always review the rules and regulations prior to sending out commercial communication to be sure you are compliant. If you are unsure, always consult an expert or legal counsel before proceeding. In addition to legal implications, sending out commercial emails from a personal address is unwise from a metrics standpoint. 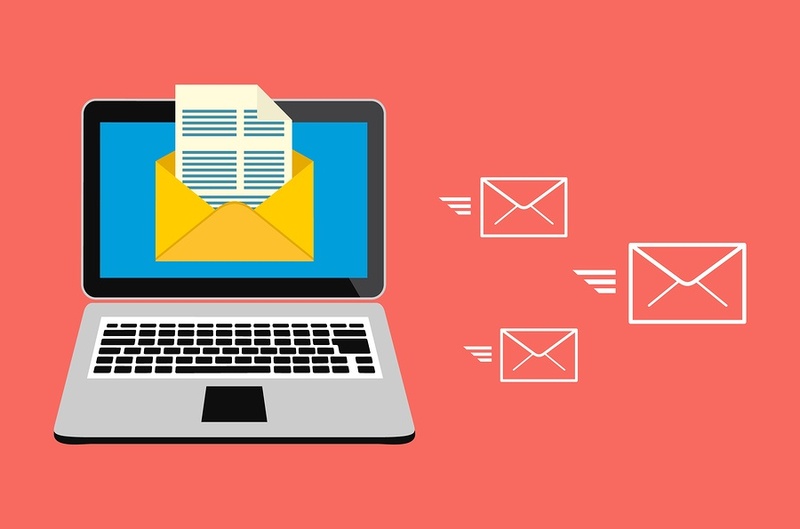 If you are using marketing emails, your goal is to increase traffic, generate leads, promote a product, increase sales, or another action that is beneficial to your business. When you use a personal or corporate email address to send these emails, you have no way of measuring the effectiveness of your marketing campaign. You will not be able to see the open rates of your email, the click-through rates, and the conversion rates. By not having access to these metrics, you will not know if your marketing campaign is a success or where you have room to grow for future campaigns. You will not be able to gauge what works and what is ineffective for each marketing email and you will not be able to use that data for future campaigns. You can also learn a lot about your contacts, leads, and customers from the data you gather from each marketing email campaign. If you do not have access to this data because you are not using an email marketing software or program, you will not be able to tailor your marketing strategies to your target audience. Finally, sending commercial communication from a personal email address could also be damaging your relationship with contacts, leads, and customers. When a contact interacts with you personally through a work email or a personal email, they are expecting just that - personal communication. If they have not given you permission to advertise to them or contact them commercially, you could potentially be damaging your relationship with them if you use your personal connection and email to reach out commercially. By using your personal email to reach out to them in a way they haven’t agreed to, you could cause them to feel disrespected or taken advantage of and they could lose trust in any further communication they receive from you. There are many options for a marketing email software or program available to you. We recommend using HubSpot for your marketing emails, but other options include MailChimp or Constant Contact. Whichever program you choose for your marketing emails, we recommend taking the time to research regulations specific to your industry or location or consulting a professional to ensure your marketing emails are compliant. Ensuring that you have a program for your marketing emails that is not only compliant with laws and regulations, but also able to measure and track email metrics, will set your business up for successful email marketing campaigns designed to increase traffic, conversions, and sales. Are you interested in learning more about using HubSpot as your email marketing program? Contact us today for a free HubSpot consultation!